CarGurus has 169 nationwide Continental Flying Spur listings starting at $24,990. The Bentley Continental Flying Spur returns with minimal change for its second year of production. The mid-size grand touring sedan was introduced in 2005 as a 2006 model. The Flying Spur is the first Bentley in history to house a W-12. This naturally aspirated BMW engine provides 552 horsepower and 479 pound-feet of torque. A new six speed automatic transmission distributes power to all four wheels - another Bentley first. The Flying Spur will reach a top speed of 198 mph, and it rockets from 0 to 60 in just 4.7 seconds. 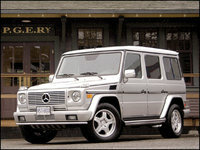 The Spur is built from VW's D platform, which it shares with the Audi A8 and Volkswagen Phaeton. The styling is another significant departure for Bentley. The Flying Spur's understated looks set it apart from the classic styling of the Arnage and Azure. All three Continental models (Flying Spur, GT, and GTC) are similar in engineering and in price. They are all offered at nearly $100,000 less than other current models. Fewer Mulliner personalization opportunities exist here, but the Spur is already equipped with what one would expect to find in a six figure luxury car. 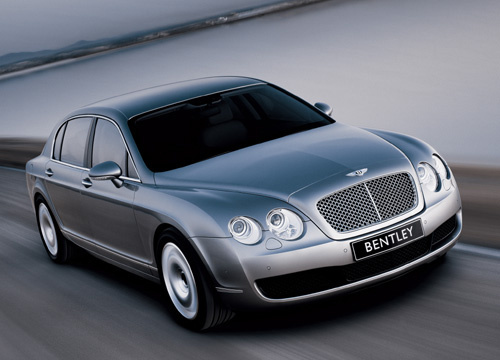 What's your take on the 2007 Bentley Continental Flying Spur? GuruV2S8L My Bentley ---11028 miles is in excellent shape. Has been garaged .Color Saffire Blue/ Magnolia hides. 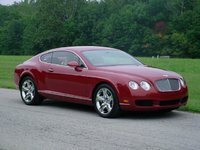 Have you driven a 2007 Bentley Continental Flying Spur?